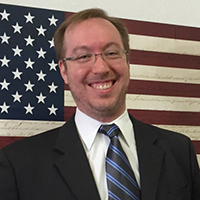 For more than a decade, James Clark has been dedicated to fighting on behalf of the victims of America’s “war on drugs.” As an attorney, he has devoted his practice for six years on litigating constitutional, civil, and human rights issues in state and federal courts. His focus is on defending people accused of cannabis related crimes, with the vast majority of his cases involving medical cannabis issues and defenses. He has worked with the San Francisco City Counsel and Police Department to develop ordinances relating to cannabis law enforcement in general as well as medical cannabis dispensaries, and he has lobbied other cities and counties to adopt sensible and legal ordinances. Recently, Mr. Clark has coauthored two state ballot initiatives that seek to overhaul California’s criminal codes relating to cannabis. Finally, James regularly speaks at continuing professional education seminars for doctors and attorneys. He also lectures on exercising constitutional rights during protests or other police encounters, as well as the laws that impact medical cannabis at Oaksterdam University.A National Merit scholarship recipient at the University of Houston, James Clark graduated with Bachelor’s of Science degrees in Political Science and Anthropology, he subsequently received his Juris Doctorate from the University of Colorado. Mr. Clark has worked extensively with NORML, Americans for Safe Access, Cannabis Action Network, Students for Sensible Drug Policy, AIM Legal, Sonoma Alliance for Medical Marijuana, the National Lawyers Guild, and numerous other local and regional drug law reform groups and medical cannabis patients groups. Mr. Clark has received awards from Bay Area patients’ groups, and regularly provides commentary for international, national, and local media on cannabis law and drug law reform issues. James J. Clark Law Offices P.C.